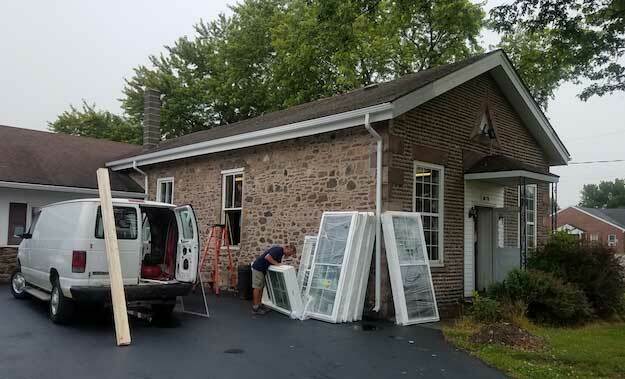 Photos courtesy of Eric Maxon: The cobblestone building next to the Kendall fire hall has new windows paid for by donations to the fire department. 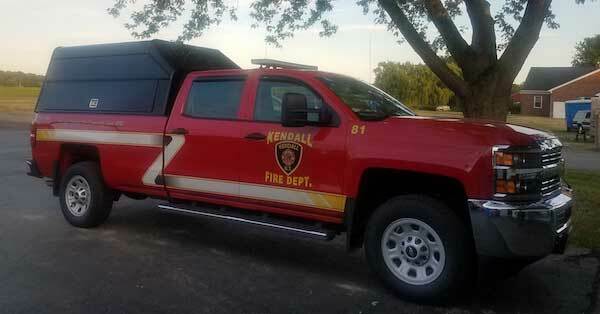 KENDALL – The Kendall Fire Department would like to thank the Kendall community for its financial support from a recent fund drive, said Eric Maxon, treasurer for the Fire Department. About 300 people responded to a May letter campaign. Those donations allowed the department to do $9,400 worth of improvement projects. That includes new windows at the cobblestone meeting hall by the fire department and new windows in the kitchen. The window project cost about $4,600, Maxon said. The department is also getting quotes for new cement on the cobblestone on the front that building. Kendall also a put new cap and sliding floor on the back of the 1981 pickup truck to carry more equipment. Kendall uses this vehicle for smaller calls. The truck repairs for $4,800 were also funded with donations, Maxon said. Donations for the ambulance went for a $2,400 engine repair and for supplies and general upkeep on the ambulance. Maxon said the department will likely send out another letter seeking donations in May. The firefighters appreciate the support which allows them to maintain the firehall and equipment. “We live in a very giving community,” Maxon said.